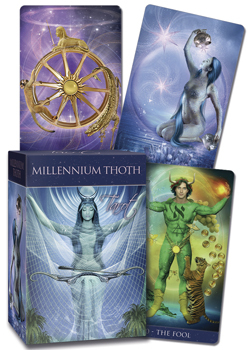 The Millenium Thoth Tarot is the perfect tarot to embolden your life and spirit. Showcasing the creative mind and stunning artwork of Renata Lechner, creator of the Arcanum Tarot (9780738758756), this powerful deck uses stylishly detailed illustrations to portray the symbols and meanings of one of the most revered decks of the twentieth century. This deck definitely stands apart from all the rest, making it a great choice for readers and collectors who have an affinity for tarot decks that bring a truly original energy to the table.